Dr. Mary Barth received her B.S. in Chemical Engineering (University of Colorado) in 1985 and Ph.D. in Atmospheric Sciences (University of Washington) in 1991. 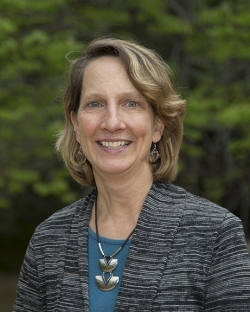 She is a Senior Scientist in NCAR's Atmospheric Chemistry Observations and Modeling (ACOM) Laboratory and Mesoscale and Microscale Meteorology (MMM) Laboratory. She is head of the ACOM Regional and Process Modeling Group and deputy head of the MMM Weather Modeling and Research section. Dr. Barth is a member of the American Geophysical Union and the American Meteorology Society. She served on the International Commission on Clouds and Precipitation for 8 years and was the secretary for Atmospheric Chemistry of the American Geophysical Union for 2 years. She recently served as a member of the International Global Atmospheric Chemistry Scientific Steering Committee (2010-2015) and the Advisory Committee for NSF Geosciences Directorate (2012-2015), and is now a member of the International Commission on Atmospheric Chemistry and Global Pollution. In 2017 she became a Fellow of the American Meteorological Society.